This is the official Stir Cove Concert Series app. 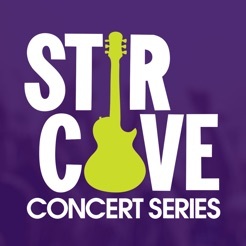 • Line-up and show info - See all show information for every artist playing this season at Stir Cove. Click on any show for artist bios and links to additional content. • Cove Info - Everything you need to know about Stir Cove, all in one place! Box office hours, map, venue policies - all at your fingertips. • Social - Stay up to date with all the latest news and updates regarding the Stir Cove Concert Series.